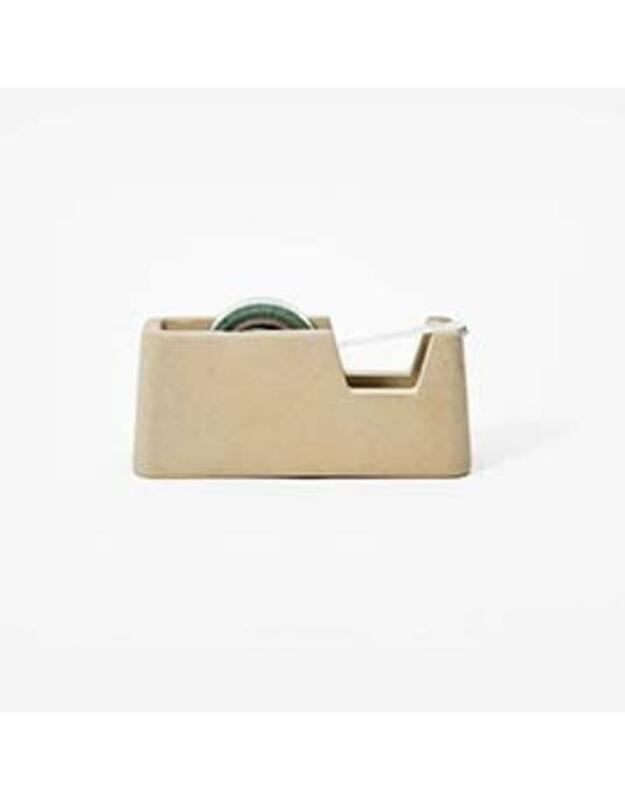 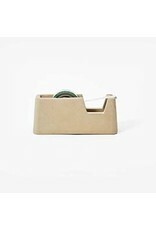 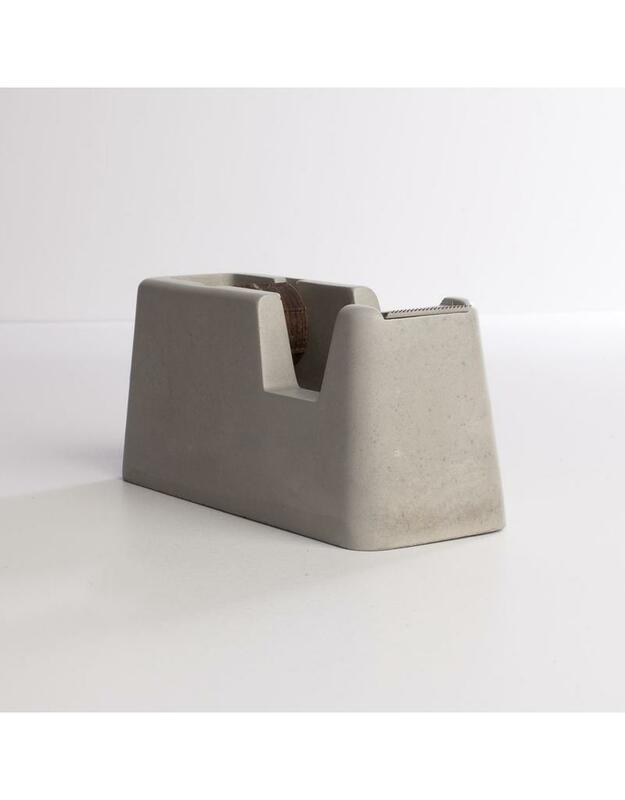 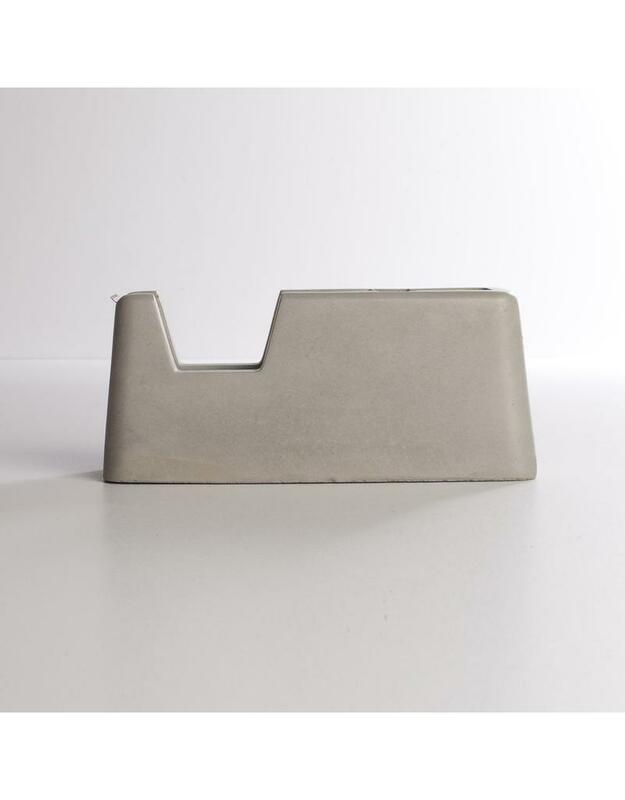 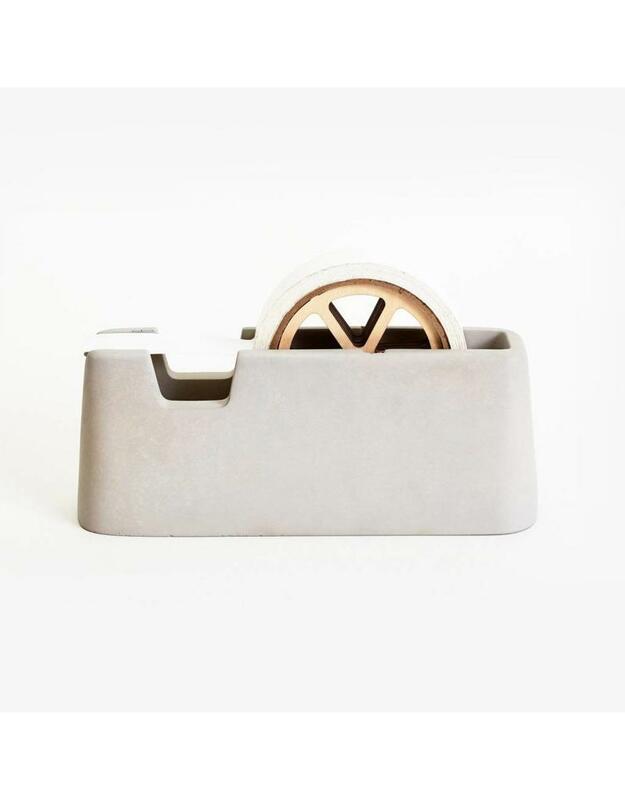 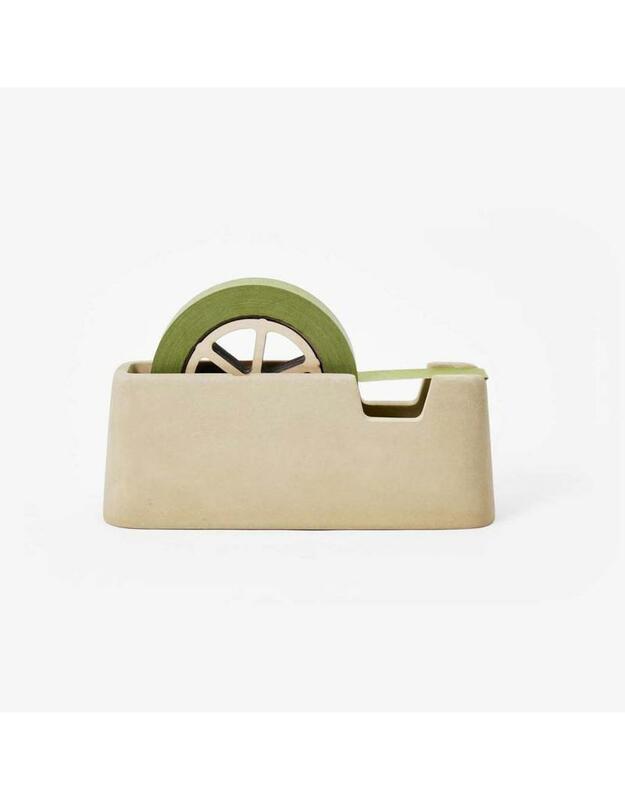 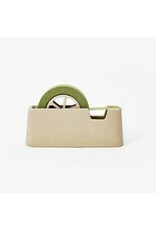 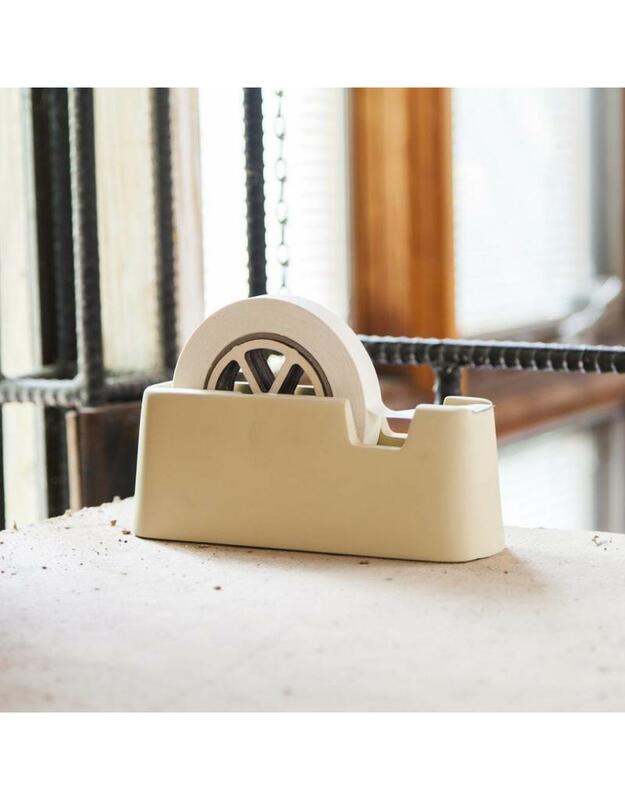 These industrial yet refined tape dispensers are cast from solid concrete with a pleasing smooth matte finish. 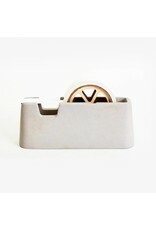 Their substantial weight makes them easy to use with one hand. 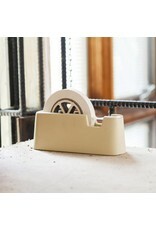 Fitted for standard scotch tape or large masking tape rolls. 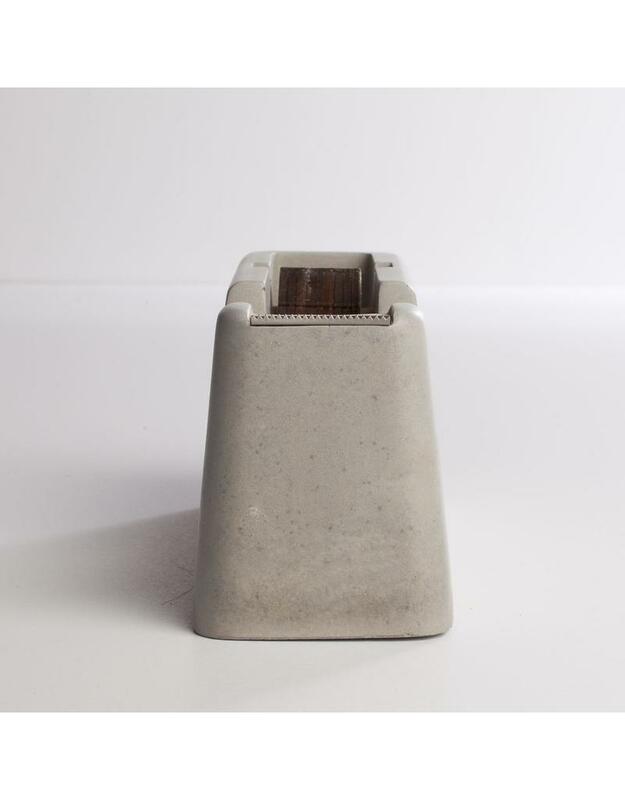 Large measures 8" x 2.5" x 4.5". 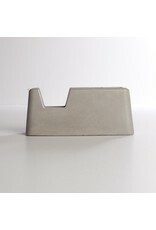 Small measures 5.5" x 2.5" x 2". 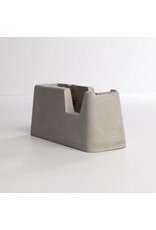 Available in grey or sand.